La Esmeralda is a ballet in three acts and five scenes, inspired by the novel Notre-Dame de Paris by Victor Hugo, originally choreographed by Jules Perrot to music by Cesare Pugni. 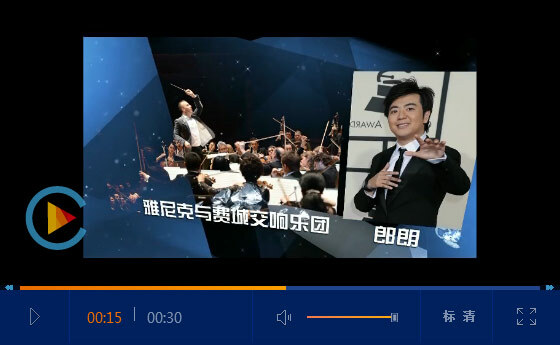 It is popular among the audience. In Europe and the Americas, the Esmeralda PDD is the most famous. Because of its excellent dance skills, it is often one of the “must have” pieces in international ballet competitions. Created by the choreography superstar Benjamin Millipied in 2015 to music of Phillipe Glass, Together Alone tells the story of the dichotomy in modern life of being fully accompanied and yet alone at the same time. Modern life is curious, the more we have the more alone people feel. The connection to all is only an illusion. This piece plays with the subject of being forgotten! What the passage of instants do in a person, in life, and in love? It touches the idea of the importance to remember and also the san importance of forgetting. 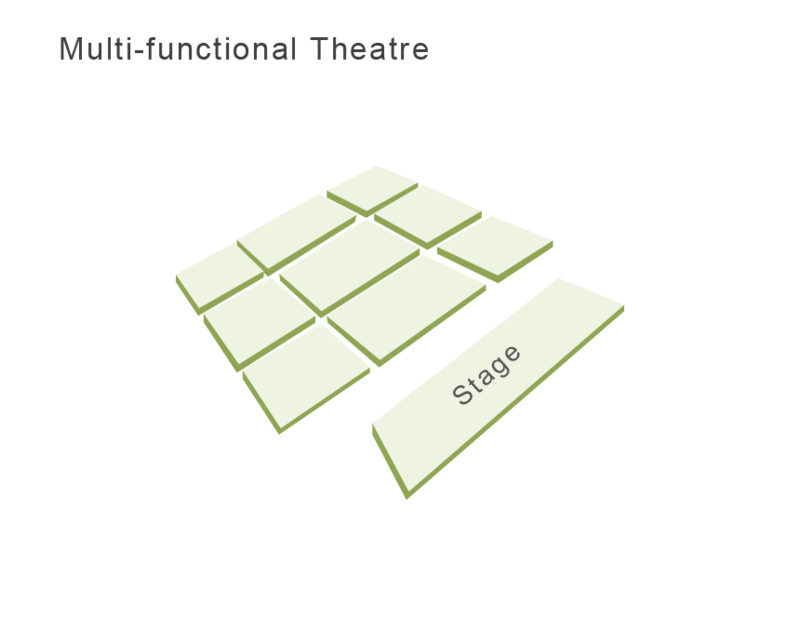 A neoclassical ballet based on the minimalistic movement. Created by one of today's most important Japanese choreographers, the piece is based on only movement and no story. Minimal and beautiful, exciting and sublime. It's a romantic piece, in which Vladimir Malakhov looks beautiful! 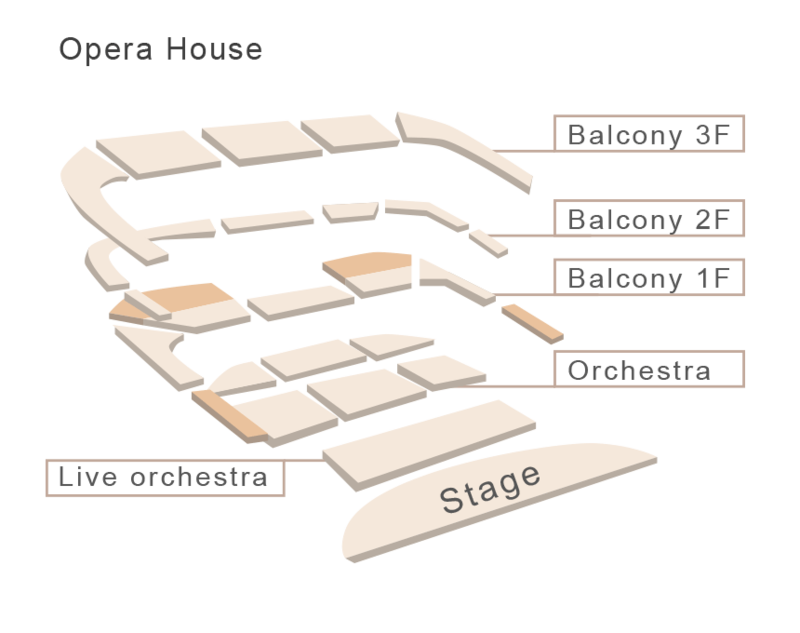 The famous balcony scene in Romeo and Juliet occurs in Act II, Scene Two of Shakespeare's well-known play. 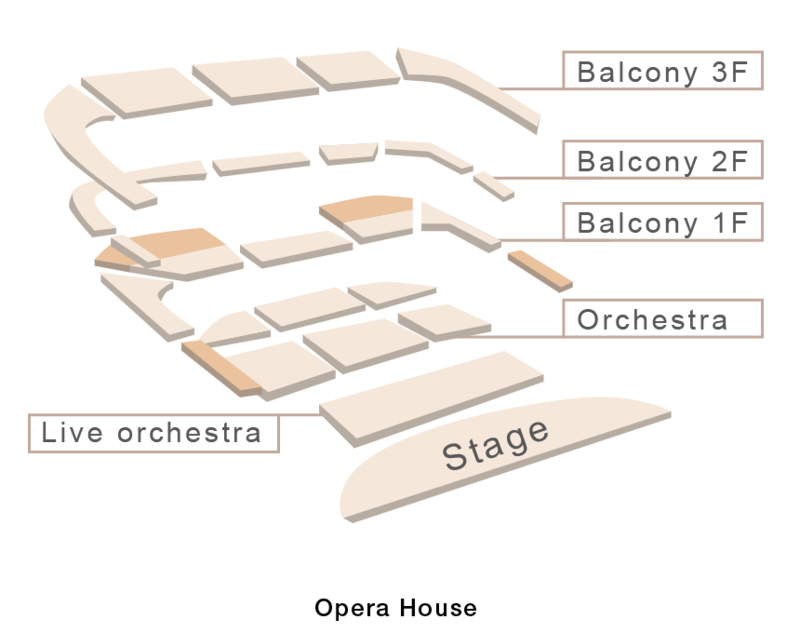 Within the balcony scene there are several very important events that take place. Each one builds the intensity of the passionate attraction between the two iconic lovers. Romeo climbs the Capulet family's garden wall, and sees Juliet alone on her balcony. Unaware that Romeo is nearby, Juliet sighs and speaks her feelings of love out loud. Romeo declares himself to Juliet, and she warns him about the danger of his presence there. Romeo and Juliet swear their true love to each other, plan a secret marriage, and finally say good night. La Sylphides’ original choreography was by Michel Fokine, with music by Frédéric Chopin. The ballet, described as a "romantic reverie", is frequently cited as the first ballet to be about mood and dance. La Sylphides has no plot but instead consists of several white-clad sylphs dancing in the moonlight with the "poet" or "young man" dressed in white tights and black tunic. Created in 1994 for the Ballet de l'Opera de Paris, and set to some of Mozart’s most beloved piano concertos, Le Parc has become a masterpiece in the company’s repertoire. Twenty years on, it is still fresh, still beautiful, and every bit as moving. The choreographer, Preljocaj set his ballet in the 17th century France, and uses dancers to embody the noble class of the time. The choreography is the origin of mankind and the beginnings of the continent of America. It is an artistic view of the birth, growth and development of the continent and its people. The Dying Swan (originally The Swan) is a solo dance choreographed by Mikhail Fokine to Camille Saint-Saëns' Le Cygne from The Carnival of the Animals. The short ballet (4 minutes) follows the last moments in the life of a swan, and was first presented in St. Petersburg, Russia in 1905. Don Quixote is a ballet in four acts and eight scenes, based on episodes taken from the famous novel Don Quixote de la Mancha by Miguel de Cervantes. It was originally choreographed by Marius Petipa to the music of Ludwig Minkus and first presented by the Ballet of the Imperial Bolshoi Theatre of Moscow. Pas de deux is the center piece of the full-length Don Quixote. Created by Maurice Bejart to the music of Hugues Le Bars and created for Rudolf Nureyev, Arepo is a piece created to marry classical and neoclassical movement to a more Latin sound. There is no defined story plot more than to show quality of movement. The Rhapsody on a Theme of Paganini, is a concertante work written by Sergei Rachmaninoff in 1934. It is a set of 24 variations on the twenty-fourth and last of Niccolo Paganini’s Caprices for Solo Violin, which is magnificent, and perfectly represents the 19th century romantic music. The composer thought of moving it to the ballet stage when the piece was written. Its choreographer was the ballet master Mikhail Fokine, who’s work shows the staging image of Paganini: the skinny, pale, fanatical and ghost-like body wrapped with the passionate soul. When awakened by the god of art, the piece crazily plays the music and the brilliant music illuminates the entire hall. 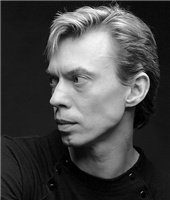 Vladimir Malakhov is one of the most well-known, artistically and renowned ballet dancers in the world today. When Berliner Staatsballett was founded in 2004, he was appointed to be the artistic director as well as the principal soloist. Under his guidance, the company cultivated some world’s leading dancers such as Semenova, Salenko and Nakamura. Marakhov also choreographed or directed a series of famous ballets such as The Sleeping Beauty, La Bayadere, and The Cinderalla, etc., making the Berliner Staatsballeett the largest and the most professional ballet company in Germany, and the largest artistic group in Germany. Malakhov is currently the honourary chairman of the European Dance Association and has been honoured as “Century Dancer” by the media. Malakhov’s repertoire is extensive and covers all kinds of classical and modern ballet works. His beautiful performance has been highly praised by the ballet world. Malakhov was born in 1968 in Ukraine. He started to practice ballet at the age of four and continued his training at the school of the Bolshoi Ballet in Moscow at the age of 10, under the tutelage of Peter Pestov. 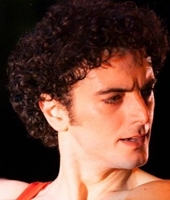 In 1986, he joined the Moscow Classical Ballet as that company’s youngest principal dancer. Since then, he had won many times of golden awards in famous international ballet competitions like Warner and Moscow, and became a shining ballet star in at the end of 80s of the last century. In 1992, Malakhov joined the Vienna State Opera Ballet as a principal artist, the Stuttgart Ballet in 1993 and the National Ballet of Canada in 1994. In the spring of 1995 he had his debut with the American Ballet Theatre at the Metropolitan Opera House in New York City, and became the principal dancer of ABT after that. In 2002, the 35-year-old Malakhov was appointed as the artistic director, principal dancer and choreographer of Ballet Company of the Berliner Staatsope r(now is the Berliner Staatsballett). At the same time, he was the principal guest dancer of ABT and Wiener Staatsoper. In 2004, he combined three ballet companies in Berlin and created Berliner Staatsballett. 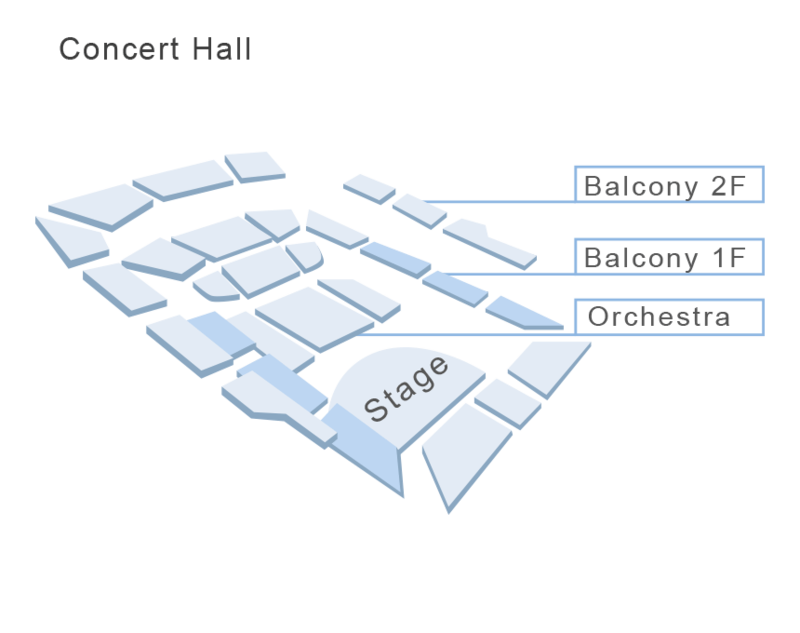 In 2014, Malakhov was appointed to be the artistic director of Tokyo Ballet. Born in Chisinau, Moldova, he was trained at the Moldavian Ballet School, under the direction of Jurie Gorshkov and Ticher Alexander Iwanov. From 2000 to 2002 he perfected his studies at the Ballet Conservatory in Vienna, under the supervision of Karl Musil, Evelyn Tery and Maxim Abzalov. In 2002 he joined the Corps de Ballet of the Staatsballett Berlin, where he was promoted to Soloist in 2007 and Principal Dancer in 2012. His classical and contemporary repertoire includes, among others, the roles of Prince Siegfried in Swan Lake and Basil in Don Quixote by Marius Petipa, Lensky in John Brako's Onegin, Aminta and Eros in Sylvia by Frederick Ashton, Franz in Coppélia by Arthur Saint-Lèon, Solor in La Bayadère by Vladimir Malakhov, James and Gurn in La Sylphide by August Bournonville. He is also a performer of Paquita by Marius Petipa, Giselle by Patrice Bart, Ballet Imperial by George Balanchine, Fancy Free by Jerome Robbins, Without Word and The Nutcracker by Nacho Duato, The Vertiginous Thrill of Exactitude and Herman Schmerman by William Forsythe, Caravaggio di Mauro Bigonzetti, Amelie by Lukas Gaudernak. In 2002 he won the Prix de Lausanne and obtained the Gold Medal at the Arabesque International Competition of Perm in Russia. In 2012 he won the title of Mr. Expressivity at the Dance Open International Festival and, in the same year, he won the Daphne Prize. He participates in major international dance events and Gala in various cities of Europe and Japan. Lisa Pavlov was born in Steinfurt, Germany. She graduated from Berlin’s State Ballet School after which followed her immediate entrance into the Staatsballett Berlin in2011. She won numerous competitions: the First Prize at “Tanzolymp Berlin” 2010 as well as the Gold medal in the Istanbul International Ballet Competition 2010. Other awards include the Silver medal in the International Baltic Ballet Competition, the Excellence Classical Dance Award in Mia Corak International Ballet Competition Slovenia and the Gold medal in the Wien Welt Wettbewerb 2015. In Staatsballett Berlin, Pavlov performed in numerous classical and contemporary pieces such as La Esmeralda, The Nutcracker, Swan Lake, Giselle, Romeo and Juliet, Onegin, La Bajadere, La Peri, Ring um den Ring, Namuna, Peer Gynt, Ballet Impereal, Jewels, The Sleeping Beauty and Tschaikowsky. Her roles included Ingrid in Heinz Spoerli’s Peer Gynt, The Girl in Boris Eifman’s Tschaikowsky and Solo Tarantella in Patrice Bart’s Swan Lake. In August 2016, Pavlov joined the Badische State Ballet Karlsruhe and in 2017 she was promoted to Soloist. The repertoire she has performed includes Clara and the Fairy in Youri Vamos' The Nutcracker, Bianca in the Taming of the Shrew, the first Muse in Das kleine Schwarze / The Riot of Spring by Terrance Kohler, Mary and the Leading Sylph of the trio in Peter Schaufuss’ La Sylphide, Holberg Pas de deux choreographed by John Cranko and the title role in Jiří Bubeníček's Rusalka (an original production for the Badischer State Ballet). Alessio Carbone was born in 1978 in Sweden. Now he is the Premier Dancer of Paris Opera Ballet. 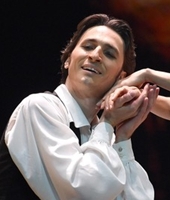 In 1991, Carbone entered the Milan La Scala Dance School in Millan and at the age of 18, he joined the corps de ballet. He was hired by Paris Opera Ballet in 1997, and was promoted to the second-class dancer in 2000. The next year, he was appointed as the Soloist of POB, and in 2003, he became the Principal Dancer. Main roles: Colas in La Fille mal gardée (Ashton), Emeraudes in Les Quatre Tempéraments (Balanchine), Zaël in La Source (J. G. Bart), Frantz in Coppélia (Bart), Variations pour une Porte et un Soupir (Béjart), Pavane (Kelemenis), Pas de trois in Paquita (Lacotte after Petipa), Pas de trois in Swan Lake, Mercutio in Roméo et Juliette, le Chef des gitans in Don Quichotte, Drosselmeyer-le Prince in The Nutcracker (Nureyev), etc. Born in Toulouse, she started to dance ballet when she was eight but was not admitted to the Conservatoire régional de Toulouse until 1992. After she won the First Prize at the Lausanne Ballet Competition the following year, she was able to proceed immediately to the final year of the Paris Opera Ballet School. She joined the Paris Opera Ballet in 1993, becoming a Principal in 2000 and a star (Étoile) in 2002. After she stood in for Clairemarie Osta, dancing Kitri for the first time in Rudolf Nureyev's Don Quixote, Pujol received the prestigious title of Étoile. She has since added the following into her repertoire: Symphony in C, The Four Temperaments, Concerto Barocco, Tchaikovsky-pas de deux, Agon, Serenade (George Balanchine), Nouredda in La Source (Jean-Guillaume Bart), the title role of Giselle (after Jean Coralli and JulesPerrot), Pulcinella (Douglas Dunn), Woundwork 1 (William Forsythe), the title role of Paquita (Pierre Lacotte after Joseph Mazilier and Marius Petipa), Etudes (Harald Lander), the Moon in Caligula (Nicolas Le Riche), Suite en blanc (Serge Lifar), Nathalie in Les Enfants du paradis (José Martinez), The Anatomy of Sensation (Wayne McGregor), The Accused in Fall River Legend (Agnes de Mille), Chloé in Daphnis et Chloé (Benjamin Millepied), the title role of Sylvia, Gustav Mahler's Symphony No. 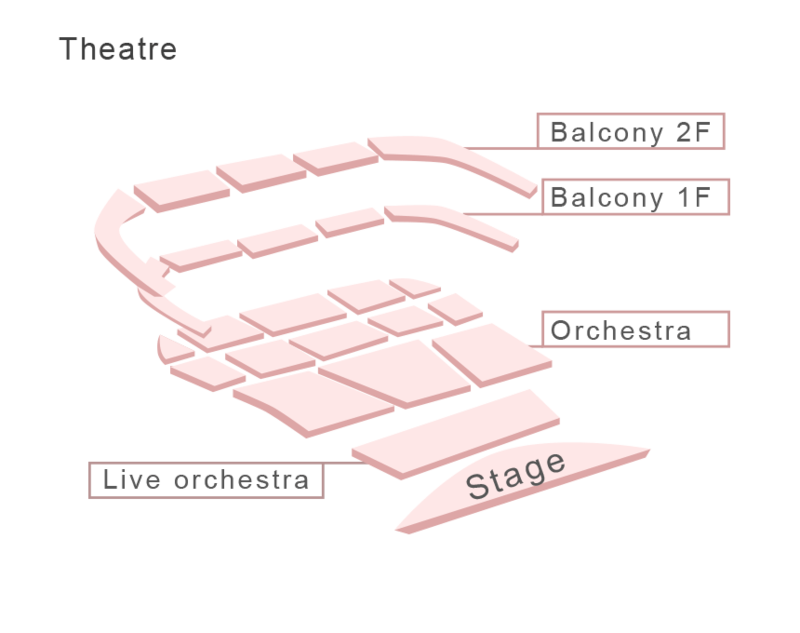 3, the title role of La Dame aux Camélias (John Neumeier), Aurora in The Sleeping Beauty, one of the sisters and the title role in Cinderella, Juliette in Romeo and Juliette, Odette/Odile in Swan Lake (Rudolf Nureyev), The Young Girl in Le Loup (Roland Petit), Le Parc (Angelin Preljocaj), the title role of Psyché (Alexei Ratmansky). 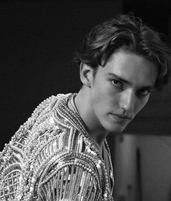 Julian Mackay was born in 1997 in Montana, USA, he trained at the Moscow State Ballet Academy for six years. In 2015, he graduated top of his class earning a full Russian diploma. In his graduating year, he performed Siegfried in the full-length Swan Lake with Russian State Ballet on tour in Germany. He won the Prix de Lausanne’2015 and became a Royal Ballet apprentice (2015-2016). He took part in international galas “Stars of the 21st Century”, YAGP “Stars of Today Meet the Stars of Tomorrow” and the Marika Besobrasova Gala. In 2016, he joined the Mikhailovsky Ballet Company, and became the youngest soloist in the theatre. Audience could always find his beauty in many classic ballet like Giselle, La Corsaire, La Bayadere, The Sleeping Beauty, etc. Macay himself exudes an elegant classical beauty combining the gracefulness and masculine. He is also one of the most popular and loved models of the British magazine LOVEME. Kristina Kretova was born in Orel. 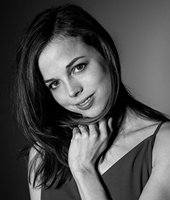 In 2002 she graduated from the Bolshoi Ballet Academy (classes of Lyudmila Kolenchenko, Marina Leonova, Elena Bobrova) and joined the Kremlin Ballet Theatre, where she danced the leading parts of Giselle, Swam Lake, The Nutcracker, Don Quixote, La Esmeralda, etc. In 2007, she danced Gulnare in Le Corsaire by A. Adam (choreography by M. Petipa and K. Sergeyev) and Lilac Fairy together with the ballet company of the Tatar State Academic Theatre of Opera and Ballet within the framework of the International Rudolf Nureyev Festival of Classical Ballet (Kazan). In 2008, she appeared in the part of the Mistress of the Copper Mountain at the first night performance of The Tale of the Stone Flower by S. Prokofiev at the Yekaterinburg State Academic Theatre of Opera and Ballet (choreography by A. Petrov). In the season of 2011/12 she joined the Bolshoi Ballet Company, and since then she danced a lot of classical repertoires including: Don Quixote, Swan Lake, The Nutcracker, Le Corsaire, Flames of Paris, etc. During year 2014 and 2015, she toured Samara Opera and Ballet Theatre Company and Mikhailovsky Theatre Ballet Company around the world. Yoel was born in Guantanamo, Cuba. He did his dance training in his own city until he was recruited by the Ballet de Cuba school in La Habana where he specialised in modern and contemporary vocabulary. After his 8th year education he graduated with honours. During his professional career he has performed with the Ballet de Cuba, and with DCC Cuba´s leading contemporary dance company with which he toured in the world. Yoel opened his own dance company “Medula” supported by the Cuban government in the year 2010 which he directed, produced and choreographs eight different productions a year. The company has toured extensively through most of America. Yoel has been the recipient of some of the most important dance and choreography awards. Some of them:Best Dancer of Grand Prix Vladimir Malakhov, 2015; Best Choreographer of Grand Prix Vladimir Malakhov, 2015; Best Dancer of Danzandos, 2015; Premio al mejor bailarín de Guantánamo, 2016; Best Dancer of Grand Prix Vladimir Malakhov, 2016; Best Choreographer of Grand Prix Vladimir Malakhov, 2016; Best Dancer of Danzandos, 2016; Best Company of Grand Prix Vladimir Malakhov, 2016; Best Choreographer of Grand Prix Vladimir Malakhov, 2016; Best Company of Grand Prix Malakhov, 2017. Aracelis was educated in the Ballet de Cuba school from which she graduated with best qualifications. During her short career he has performed with DCC, Cubas leading contemporary company with which she has toured extensively. The year 2017, she won the Best Female award at the Grand Prix Vladimir Malakhov; she received the same prize in the year 2018 for performing in Yoel Gonzalez choreography Oblivion. At the moment she is Principal Dancer with the Medula Company and a Principal Guest Artist with the Ballet Nacional in Chile.